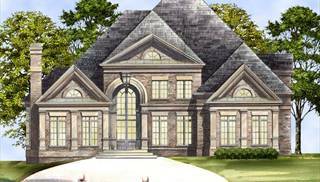 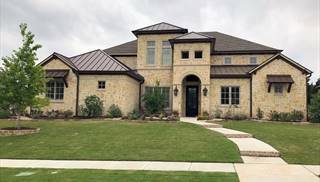 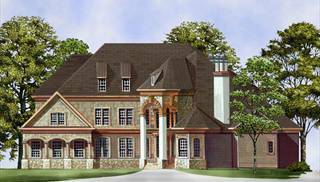 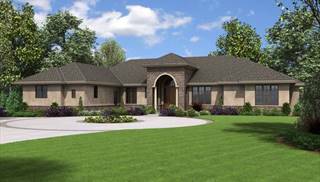 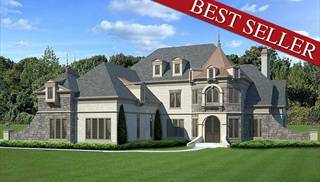 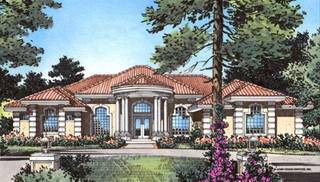 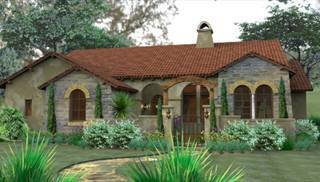 Check out our selection of European home plans if you like stylish designs with influences from the Old World. 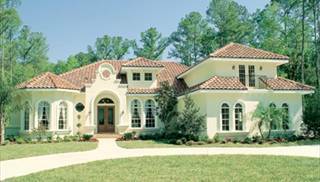 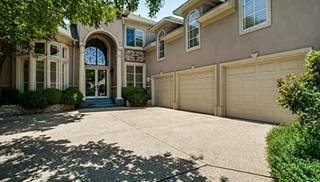 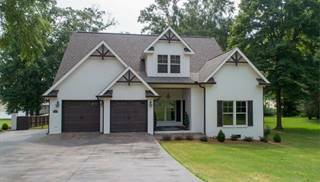 Exterior materials include striking stucco, sturdy stone, classic brick, or a combination of two or three of these! 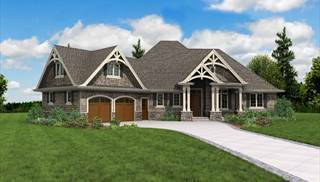 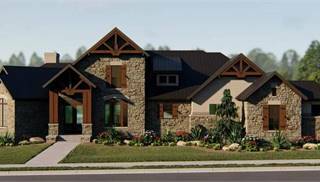 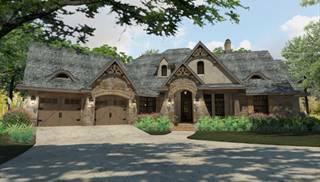 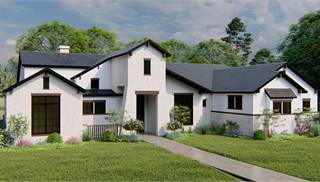 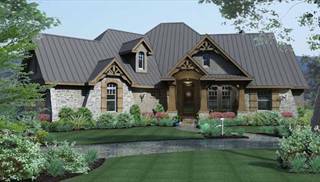 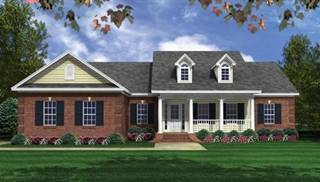 Many of these house plans incorporate steep rooflines with numerous gables. 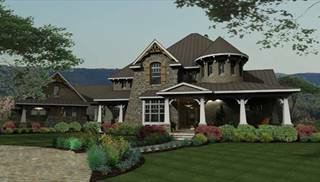 Inviting porches add a touch from the New World. 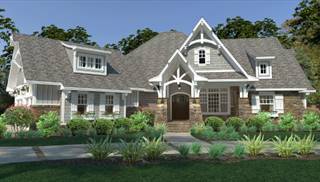 Although the homes' facades may transport you back a century or two in your daydreams, the floor plans are thoroughly "third millennium"! 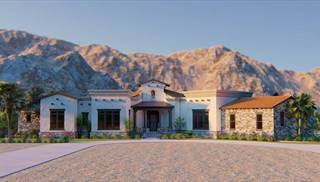 You won't be lacking in up-to-date details and amenities. 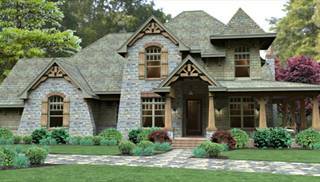 In this collection we present homes with features from all corners of Europe. 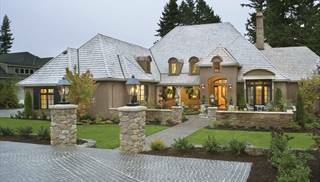 For more specific regions of the continent, see also our collections of French Country, Mediterranean, Spanish and Tuscan styles.